Residential well owners can get a lot of pressure when it comes to well water system talk. As prospective homeowners look into new properties, many people tend to overlook areas with well water. That’s because they fear the buzz about the issues residential well owners have with the quality of water and the maintenance of their well. While contaminated well water can be harmful to your health, that’s only if you don’t take the necessary steps to keep your water safe. Let’s take a closer look at some of the well water myths that are going around, and what residential well owners should know to avoid surprises. Here are the top three myths residential well owners and potential homebuyers hear, and the real truth behind these statements! The truth is that home inspectors perform visual inspections of properties for sale, and this does not include water quality testing. According to the State of Connecticut Department of Consumer Protection, you should always hire a licensed home inspector when you purchase a home. An objective professional will provide you with a detailed report of the home you plan to purchase and identify any serious, significant problems. Contrary to what many say, home inspectors do not perform water testing for residential well owners. Although an inspector will not test the quality of your well water, it’s crucial that you hire a company that performs well water testing. This is particularly important if you plan on purchasing a home that is in foreclosure or has been vacant for some time. A professional well water services company will conduct a full water analysis, send a sample of your water to a certified lab, and ensure that the water supply in your potential home is safe for use and consumption. When it comes to residential well owners, the homeowner is actually the one responsible for the quality of the well water. In fact, although the EPA sets restrictions on commercial well users, they do not set the same requirements for homeowners. In addition, while many people think that there are certain areas that produce “bad” water and should require government intervention, even wells drilled very close to one another can produce radically different quality of water. For example, water from one well might contain chloride, nitrates, manganese, and coliform bacteria. Water from another well several feet away may be bacteria free. Most residential well owners know that well tanks are built to last if they are installed correctly. While tanks can be old and rusty and still work fine, sometimes the tank itself will begin to leak. Despite popular belief, inspections will only clearly unveil leaks in pressure tanks if you hire an inspector with thermal imaging equipment. Thermal imaging is a non-destructive way of detecting irregularities in temperatures that could indicate the presence of a water leak. If you are a new residential well owner or a prospective buyer worried about investing in property with a well, don’t panic! Well water supplies can be a great way to get quality water if you follow the proper procedures to make sure your water is clean and safe. 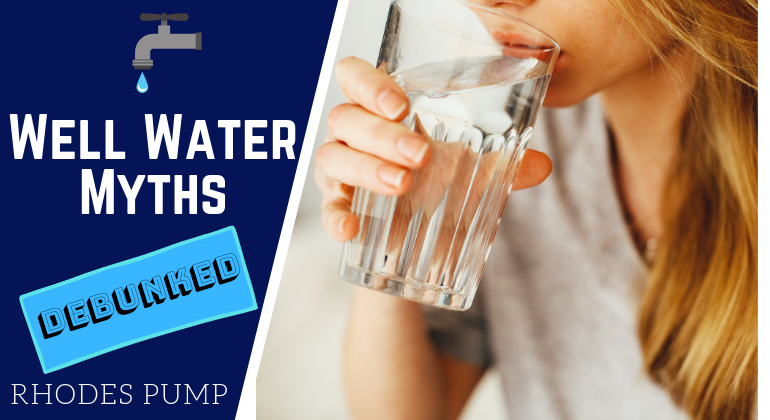 If you are worried at all about the quality of your water, talk to a certified well water specialist to check things out. You’ll be enjoying your new home and your quality water supply before you know it!